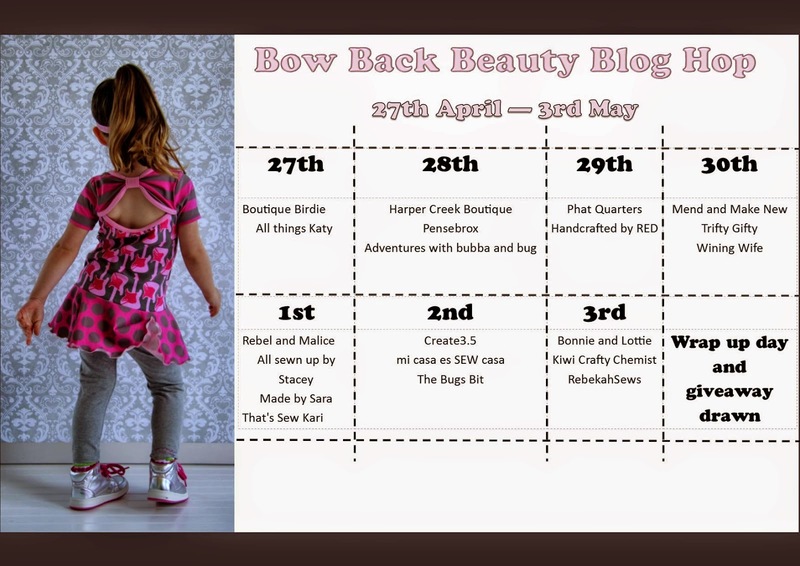 I am very excited to be a part of the Bow Back Beauty blog hop! 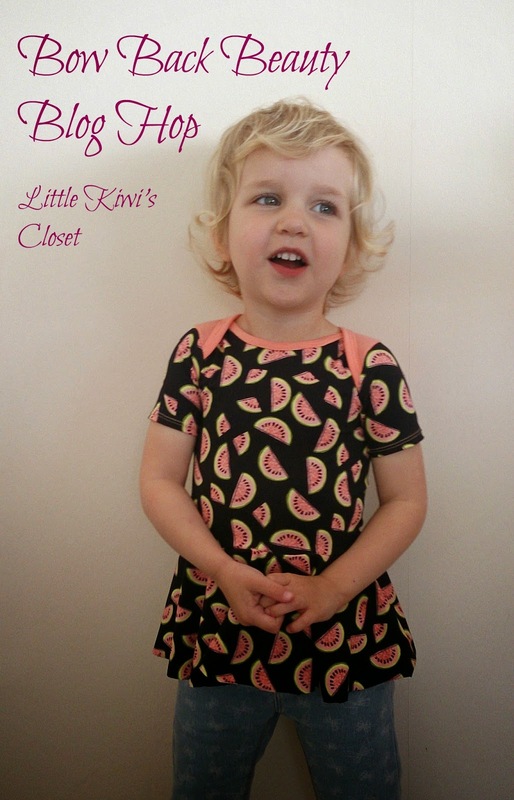 From the moment I saw the very first sneak peaks of this pattern on the Little Kiwi's Closet Facebook page I knew I had to have it!! I bought the pattern as soon as it released, but as so often happens, I hadn't had a chance to give it a go yet. So when Lydia asked for some bloggers to join the blog hop, I thought it would be a great opportunity to join in with some other lovely stitchers and finally sew one up! My favourite bit about this pattern is - as the name suggests - the beautiful bow detail at the back! Now that the weather is getting a little warmer in the UK, I think this will be one of Little Bs most worn tops - perfect with leggings or shorts! And if it happens to warm up a little more I think I'll make her the dress version too! Little B loves how twirly the skirt is - being a full circle, it gets some serious height as she spins around!! There are loads of other options too - including a double peplum, a full length maxi skirt, a hi-low skirt, and you can also do a plain vest - or attach your chosen skirt to the vest version. I went with a short sleeve for Little Bs top, but you can also do sleeveless and long sleeves. I love how there are so many combinations you could put together with this pattern - both with the options and how you choose to place your fabrics - you can get so many different looks - and with a size range of NB - 12yrs - I can see this pattern getting a lot of use!!! And don't forget to check out the rest of the blog tour to see some more beautiful versions!